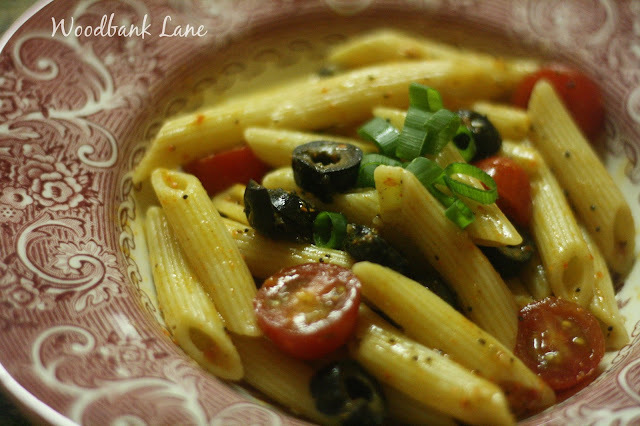 This first time I tried this pasta salad was years ago at a Thanksgiving gathering. My mother-in-law Janie made it, and I became an instant fan. The best part--you can add just about any vegetable to it and have the perfect side for a meal. Or better yet, add some grilled chicken, and it can be the entire meal. Here's my take on the recipe. Cook pasta according to the directions on the package. Rinse and drain well. My mother-in-law uses spaghetti noodles. I like and usually use the small shells, but this time I tried penne pasta. Combine the Italian dressing and the seasoning. Pour over pasta and toss until coated. Chop and add vegetables. Chill before serving. 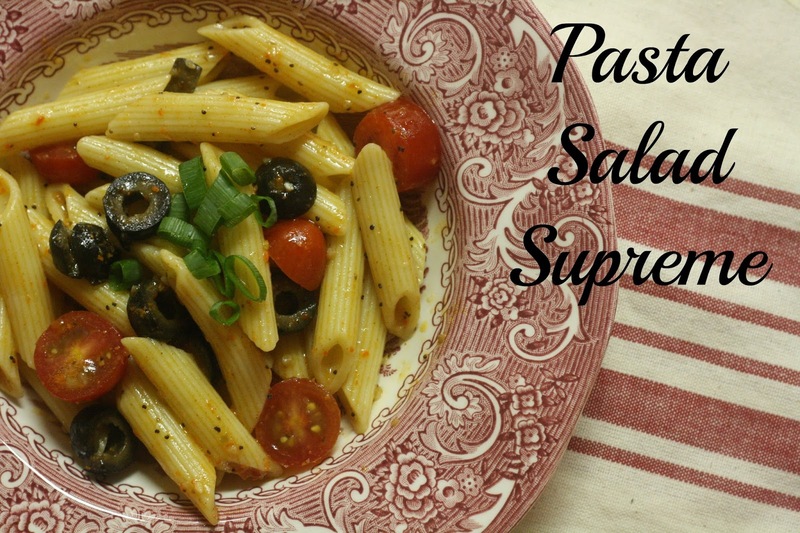 This is probably my favorite pasta salad, but then again, I like most everything! The recipe makes a gazillion servings. It would be a great dish to take to a summer outing. My May is moving along at an incredible pace. Only two more weeks of school for this teacher. Then I'll have about 8 weeks of recovery time before I return to the classroom in August for my 20th year of teaching. :-) Hope all is well with you guys.